When it comes to quality outdoor accessories that are made right here in the USA, Grizzly Coolers has the monopoly on high endurance, rugged coolers. If you need a cooler that can outlive extreme weather conditions, harsh handling and more, then you must check out what Grizzly Coolers has in their impressive arsenal. Grizzly Coolers make ice chests tailor-made for specific outdoor activities. You can find coolers for hunting, action sports, camping, tailgating and fishing. I personally got acclimated with Grizzly Coolers when my angler buddy brought it along on our annual fishing trip. It was a particular hot June weekend and the sun was shining with absolutely no cloud cover. Every time I would dip my hand in the cooler, it would still be filled with solid ice! Even after several hours directly in the blazing sun, the ice still didn’t melt! It was after that when I realized that I had to try one for myself. I personally like to do a fair amount of hunting during hunting season, so I was immediately drawn to their line of specialized hunting coolers. Grizzly Coolers are made especially for transporting and cooling off your hunt, so that it will be safe enough to bring to the dinner table. The Hunting Coolers come in small, medium and large. They can range from a modest 15 quart size to a massive 400 quart for some of your bigger game. 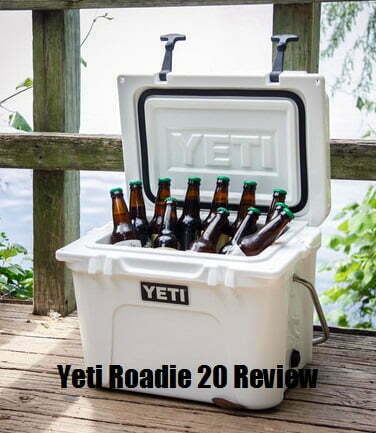 My favorite part about my Grizzly Cooler is that they represent the pinnacle of toughness mainly because of its patented Rototough rotomold construction. Grizzly Coolers for sale also stay true to their name by being equipped with a bear-resistant design that passed IGBC live bear testing protocol, ensuring that my game won’t be touched by some hungry Grizzly Bear who attempts to break into my cooler. Grizzy Coolers can also be moved from place to place with ease because of its sturdy molded-in handles, as well the nylon sleeve rubber handle. Even if you are on an unstable terrain, you won’t have to worry about your Grizzly going anywhere because of the secure 2” tie down slots that will hold it in place. Although these premium ice chests can stand the test of time, these manufacturers give themselves a trustworthy reputation by offering a lifetime warranty with many of their models that covers any damages during manufacturing that could lessen the performance of your Grizzly Cooler. So, after hearing all of this it would make sense that actually owning a Grizzly Cooler will vaporize a hole into your wallet with the amount of money you would spend on it. However, that is not the case! You can find any specialty Grizzy Cooler for any size on sale for a price that won’t put a huge dent in your wallet. Bargain department stores could have sales on Grizzly Coolers depending on the season and you could find yourself a deal that you could not pass up. Another option would be to search online, where you could find a Grizzly Cooler on sale for cheap. We’ve found that Amazon usually has Grizzly Coolers for sale cheap. Getting yourself an ice chest with the ice retention and toughness of a Grizzly Cooler is a sound investment that will pay off for a lifetime.